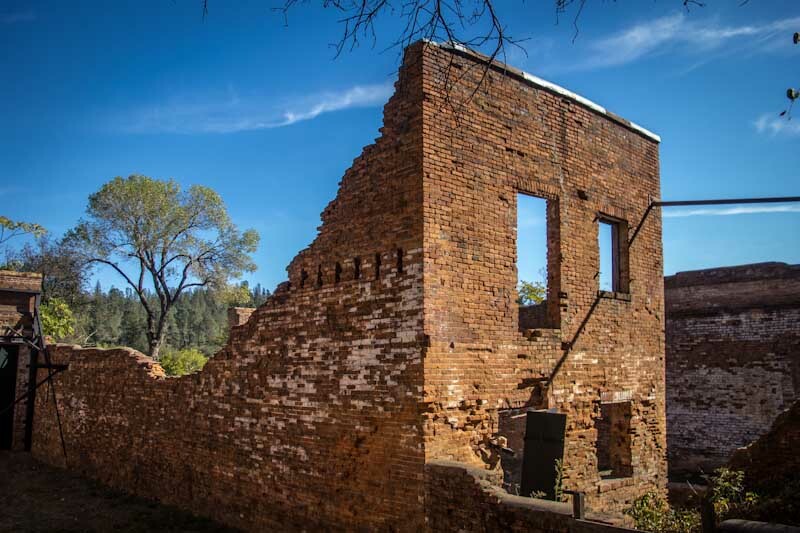 Six miles west of Redding a row of old, half-ruined, brick buildings remind passing motorists that Shasta City, the "Queen City" of California's northern mining district, once stood on this site. 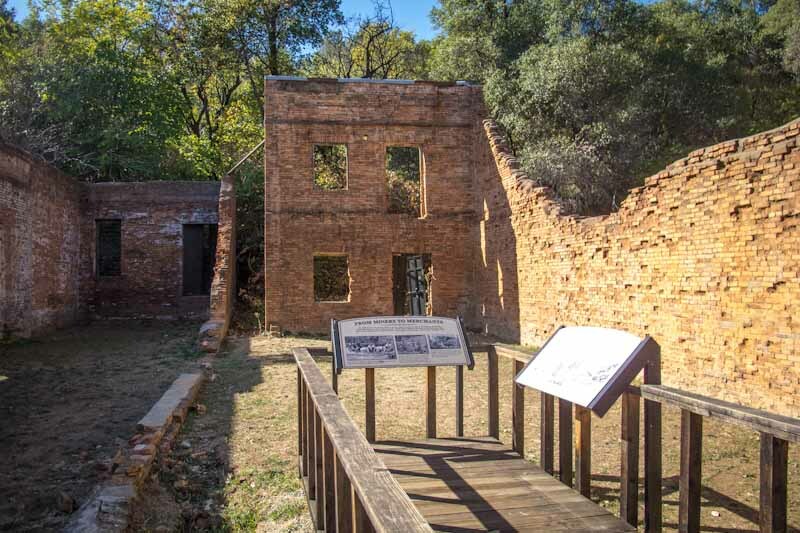 These ruins and some of the nearby roads, cottages, and cemeteries are all silent but eloquent vestiges of the intense activity that was centered here during the California gold rush. Iron shutters still swing on massive, old hinges before the doors and windows of grass-filled, roofless buildings that once were crowded with merchandise and alive with the human sounds of business, trade, and social endeavor. 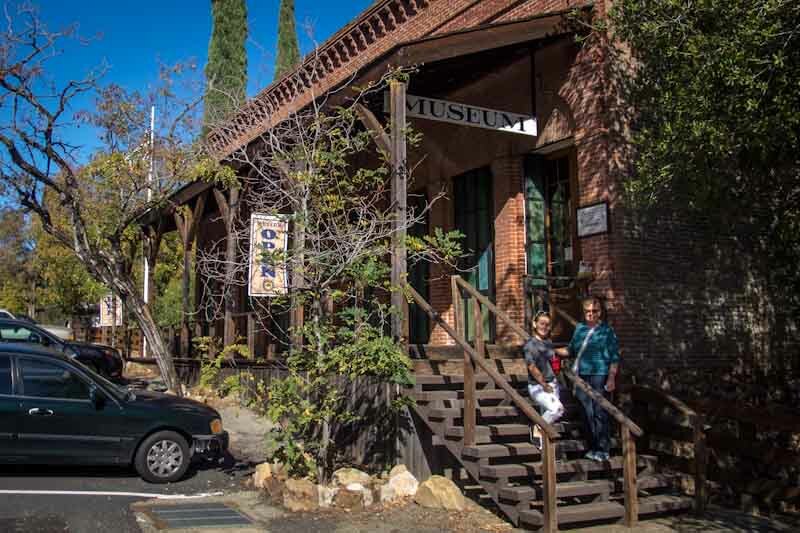 The County Courthouse is restored to its 1861 appearance and is filled with historical exhibits and an unparalleled collection of historic California artwork. 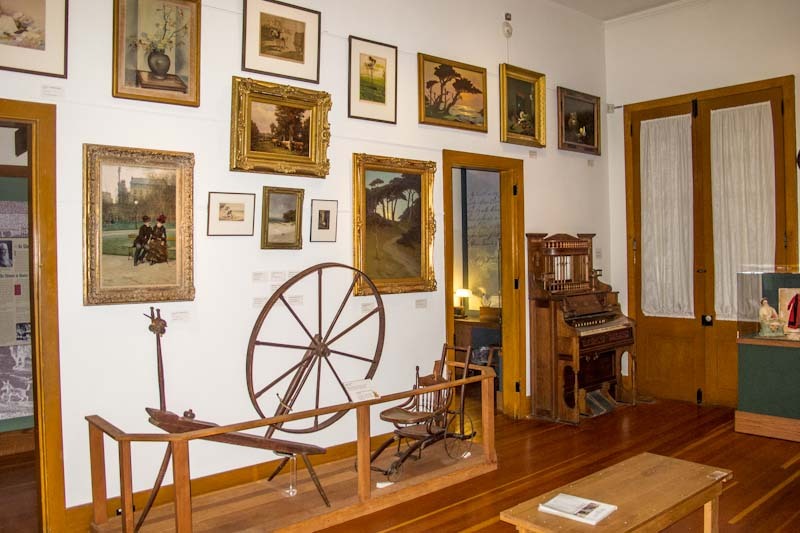 The courtroom, jail and gallows have been restored to the 1860s and furnished with many original items to interpret Shasta County justice in the long-gone days of the gold rush. The Blumb Bakery operated in Shasta until 1918. The entire bakery has been restored to house a working business where weekend visitors can catch a glimpse of baking 1870s style in the faithfully recreated brick oven. Walk historic trails and roads that give hints of past occupants with cottage ruins, gardens and orchards. 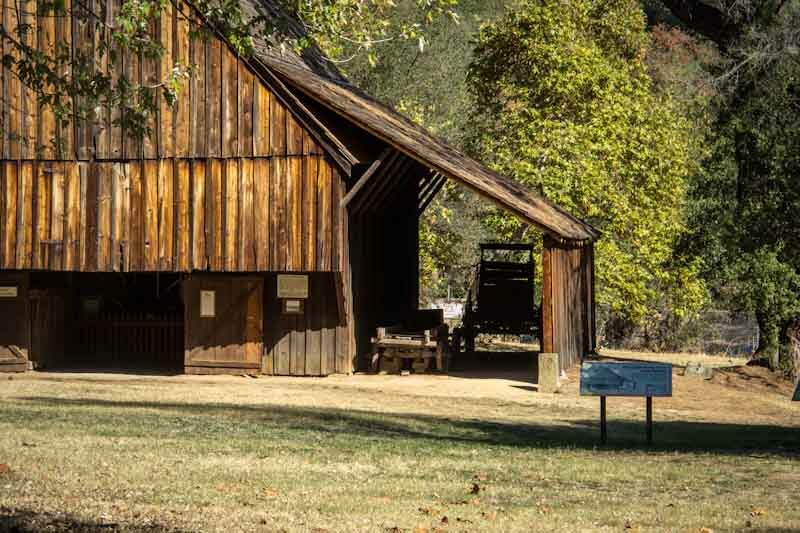 The cemetery trail will lead visitors to the Catholic Cemetery, where many of Shasta’s prominent citizens are buried, and the Pioneer Barn area is adorned with farming and mining implements of the 1800s. The hay barn houses an original stagecoach and more agricultural supplies and the large, old oak trees shade an area perfect for a picnic. How Much Time To Spend: Plan to spend about an hour inside the museum viewing the artwork and other exhibits, including the restored courthouse.